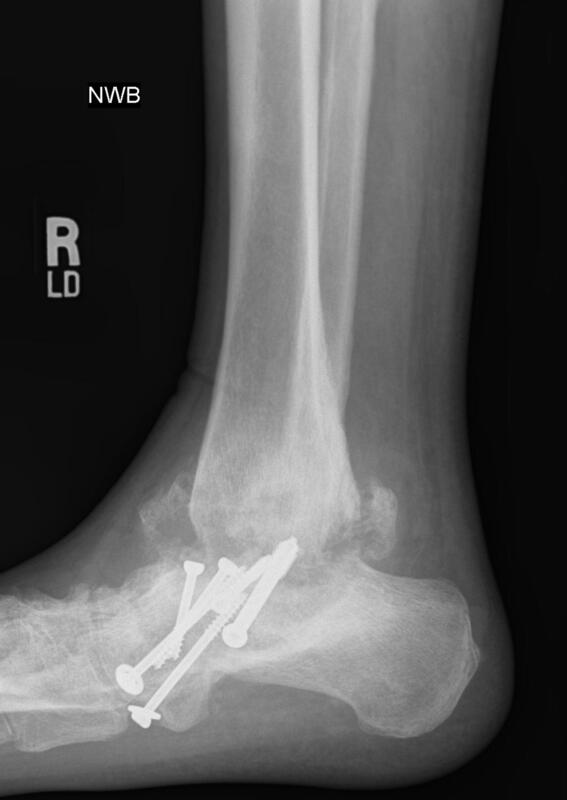 This 41 year old man who was referred to see Dr. Brinker 6 months after an attempted ankle fusion at an outside facility by other physicians for post-traumatic arthritis. 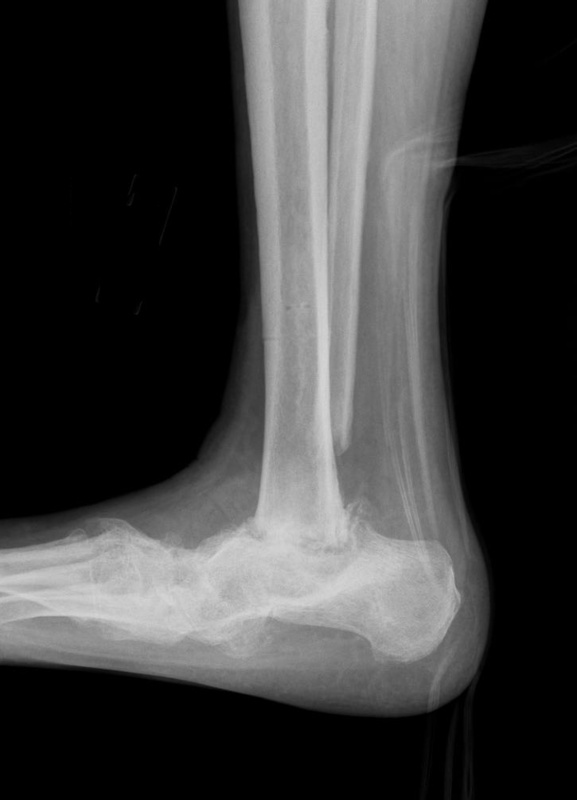 At the time of referral, the ankle joint was grossly unstable. 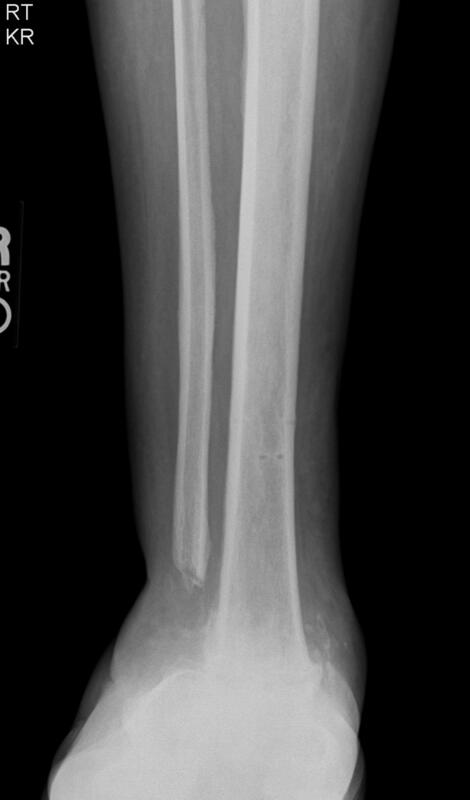 The patient was unable to walk without a supportive boot and a cane, was having severe pain, and was having difficulty doing his work as an emergency room physician. 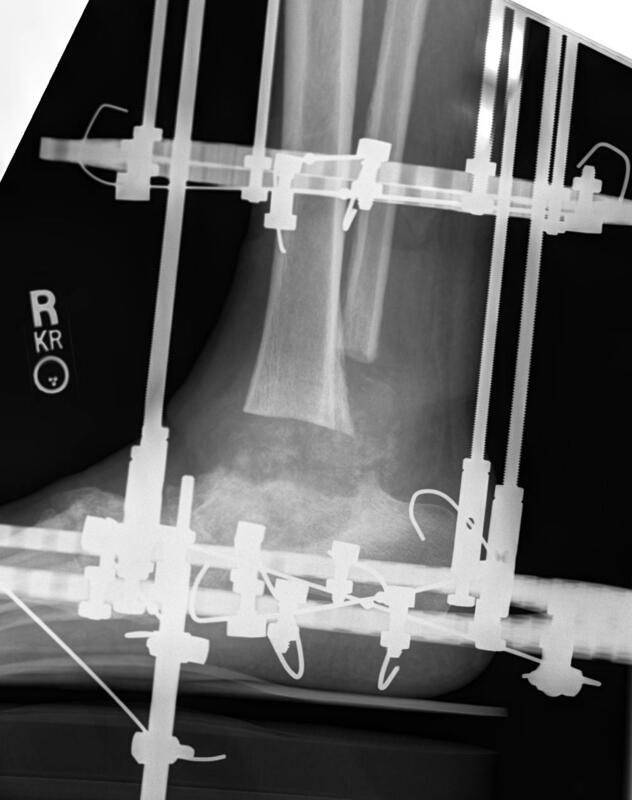 These x-rays show treatment in progress after removal of bone and tissue at the nonunion site. 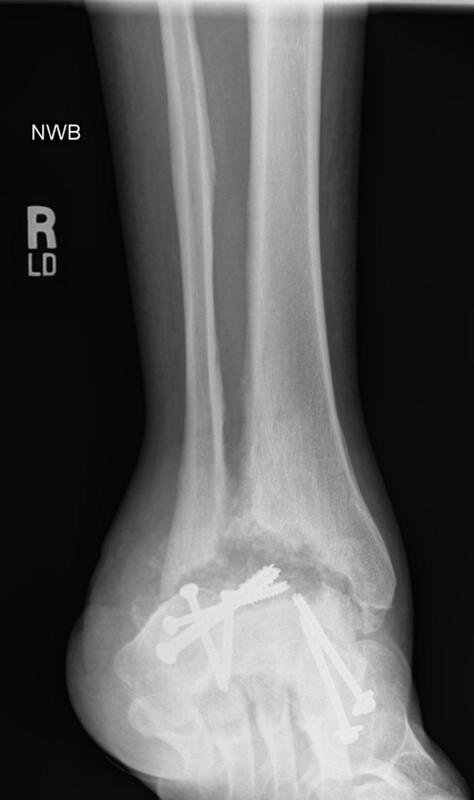 Treatment consists of Ilizarov bone transport and compression to move a segment of bone downward to obtain fusion of the ankle joint. 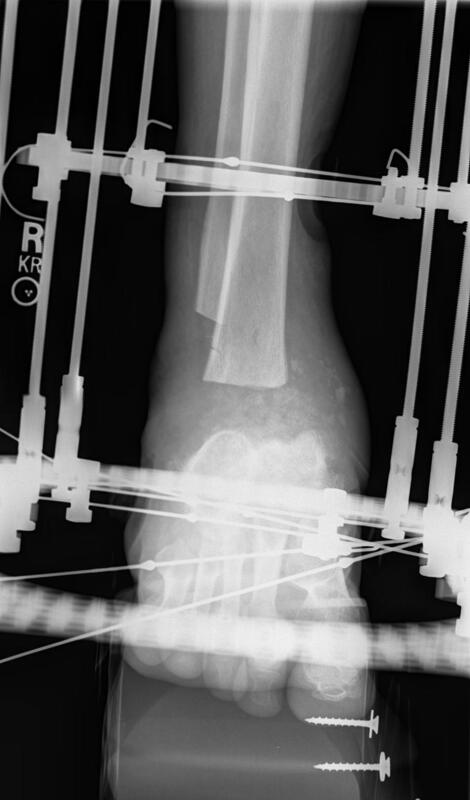 These images taken after Ilizarov treatment show that the bones are healed and the ankle is fused. The patient has no pain and can walk and attend to his work as a physician without requiring supportive footwear or a cane.